I have been an Amazon customer for over a decade now and a Prime customer for at least six years. I know as a Prime customer I have access to free movies and TV shows but without the Fire TV I can only watch these on tablet,phone or laptop. It seems to get your money’s worth of Prime you need Fire TV, but like a lot of households I already have TV provided, not without significant cost, by another provider. I decided after weighing up cost and functionality to try Amazon Fire TV stick. With Black Friday seeing a £10 discount on the cheapest version of Amazon Fire TV stick I thought I had little to lose. As with most Amazon branded products I didn’t have to wait long until my Fire TV stick arrived. Easy to set up, basically you plug the stick into your TV’S free HDMI socket, if it’s awkwardly placed you have an extender in the box to facilitate this. You then plug the Fire stick into the mains via, what turned out to be too short a lead, USB cable. Helpfully a plug is provided with your Fire TV purchase. I had to use a previously purchased non-Amazon extra long power cable. Once plugged into your TV and electricity, if you switch to the HDMI channel you plugged the stick into, you see an introductory demonstration video about Fire TV. Essentially this video takes you on a tour of what you can do with your Fire TV stick and with a host of apps and games you are spoilt for choice. Many of the useful apps you will use most often are free, like iPlayer, ITV hub, Netflix etc. However my main reason for purchasing the Fire TV was to get more out of my Amazon Prime video subscription and on this front I can access free music, radio and games. The easy menu lets you navigate to your videos as well as pushing films you can rent or buy. There’s no doubt that the Fire TV gives you the opportunity to spend more money on films, music and apps but because it transfers all these to your big screen TV, you can watch and play with others. The picture quality on my Fire TV stick far surpasses the quality on my Virginmedia TiVo but I’m not surprised as my TiVo box is now eight years old. Technology moves on at quite a pace and never is it more apparent than when I compare what I’m getting from my Fire TV compared to TiVo. Once you have connected the Fire TV to your WiFi, you are ready to access a host of entertainment. You can also connect Bluetooth devices directly to your Fire TV stick, however when I paired my Bluetooth headphones I had to change my wireless WiFi setting so that the Fire TV stick connected to the 5GHz signal not the 2.4 GHz signal or else the signal dropped out when streaming video. My current TV does not have Bluetooth but because the Fire stick does I can pair speakers to my tv via the Fire TV stick. Other than the fact I can’t play certain games like Star Wars: Knights of the Old Republic on Fire TV, this was definitely a good buy at under £30. The voice activated version seems superfluous as you can download a Fire TV app to your phone so it can act like a remote and you can use your voice to search content this way without paying extra for a remote. You don’t need to buy an SD card too like you would with the more pricey Fire TV box and you can take your Fire TV stick with you if you go away as most hotels with TVs allow you to use your Fire TV stick with their TV s and WiFi. So in summary, despite spending £80/year on Amazon Prime you do need to purchase a Fire TV device in order to watch countless movies and TV shows on your big screen at home. Although the Fire TV stick is comparatively cheap it is a cost on top of your Prime subscription to access content you already have paid for. 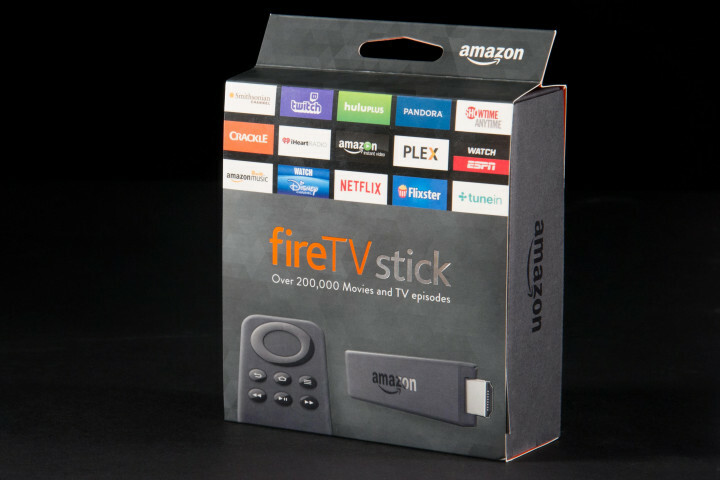 If Virginmedia allowed an Amazon Prime Video app there would be no need for the purchase of Fire TV stick, which in turn rivals Virgin Movies for pay per view content. After our purchase of Fire TV we are now debating giving up our Virginmedia cable TV subscription altogether. We don’t watch much TV and what we do watch can be seen on apps like iPlayer at our convenience not set times. This would free up over £1000/year. The Fire TV is the next generation of entertainment and although I maybe late getting in on this I definitely see how it’s changed watching TV for everyone. We use a Roku box primarily for Netflix and Amazon. I have not looked at a cable channel in months. I am actively investigating how we can reduce our cable cost. The amount you can save by not having cable is significant enough to seriously consider stopping it. I’m going to see how much we use cable between now and January before deciding. It’s hard letting go of cable when we’ve had it forever. Very helpful even if I am in the States. I’ve not yet given in on prime but the tv part is most attractive. I just wait to buy books till so have enough for free shipping. I do get a lot of one day and even same day shipping for free, which I take for granted as I’ve had it for so long. It’s worth having a month’s free trial to see what you think. I shared your review with my friends on FB –some have been talking about it. All are already Prime Members but hadn’t taken that step. Thank you, I hope I have helped.